Captain Eugene “Gene” Cernan–commander of the final lunar landing mission Apollo 17–died today. He was the last astronaut to leave his footprints on the surface of the moon. Cernan, the son of Slovak and Czech immigrants, was born in 1934 in Chicago, Illinois. He received an electrical engineering degree from Purdue and later earned a Masters of Science in aeronautical engineering from the U.S. Naval Postgraduate School. He became a captain in the U.S. Navy, and in 1963, he was one of 14 astronauts selected by NASA to participate in the Gemini and Apollo Programs. Cernan wearing what look like two Speedmasters on the Apollo 17 mission. Cernan retired from the Navy in 1976 and ended his NASA career. He later went into private business, eventually finding a small career in television. Cernan was also an Omega ambassador (here is an Omega commercial featuring Cernan). Photos show that Cernan wore what appears to be curve-lugged Speedmaster ref. 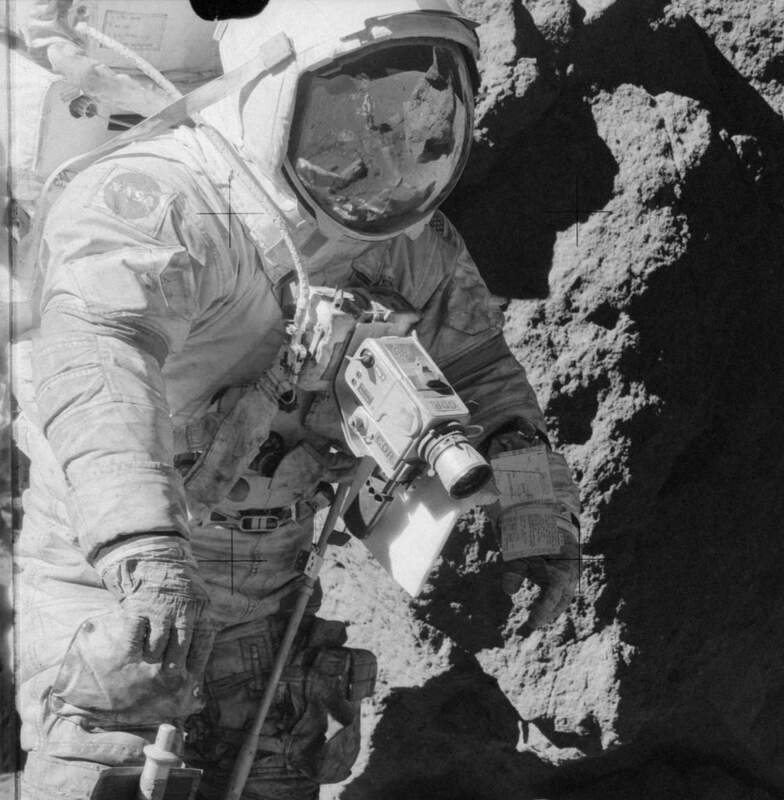 105.012 on the Apollo 17 mission, making it the first and last reference to be worn on the moon. It is believed that he may have also worn a personal 105.003 on this final mission, though it has not been verified. A twisted-lug 105.012 seen here on Cernan’s wrist. A recent documentary film, aptly titled, The Last Man on the Moon, tells Cernan’s incredible story. Eugene Cernan passed surrounded by family. He was 82.